Showing results for tags 'wargaming'. If wargaming where to add a IJN premiun DD that is between the tiers of 5-7 what would it be, what would its stats be like, would it have any gimmicks and do you think WG should release a IJN DD in mid tier? I personally would like to see one but i dont know exactly what the ship would be. So I've been meaning to bring this up for awhile; given that Wargaming recently purchased Fractured Space's developer: https://www.pcgamer.com/fractured-space-developer-edge-case-games-joins-wargamings-new-mmo-team/ While WGing does not OWN Fractured Space, they do have access to the same ideas and talent brought in (and is why this is NOT promoting another product). And I really liked Fractured Space and many did also, and the reasons it ran into problems are TOTALLY different from what WoWs is. So, to those that played it, what features in Fractured Space/Modes/methods/concepts would you like to see here? As WoWs is much closer in similar gameplay than WoT's is to Fractured Space. Personally, I'd like the the armor facing system to be transposed. In Fractured Space, your armor degraded with damage, and the more damage it took, the more damage you took, until it was totally degraded and you received massive damage. To mitigate that, you could change facing, in the case of a space game, you had 6 faces, top, bottom, port and starboard, bow and stern. Within each you had zones (similar to how WoWs breaks up your ship into 3 zones now), so that if you break the forward port armor, the rear port armor is still sorta okay) you could change facing to shift fire from one armor section to another to reduce damage, and armor passively regenerated over time (when it was not taking damage). In this game you could have 5: deck, bow, stern, port and starboard. I think this would be superior to the current armor system that is largely based on angling, and instead make it more about movement; taking too much damage on your port, shift sides and let your port side repair while you starboard takes the damage. I think this would work better for 2 main reasons: 1) It encourages movement and punishes bowtanking/camping gameplay (as if you keep taking damage in that 1 spot damage increases, not decreases as damage saturation works now) and 2) It gives a meaningful way for ships like DD's or CL's to compete against BB guns by having weak, but fast regenerating armor facings that work in favor to their more dancy gameplay style. There are other features WGing can leverage from their new acquisition as well but I wonder if anyone else sees possibilities. Hey all, long time, no post. ( This is my personal, open request to WarGaming. Feel free to chime in as well. ) Hello WarGaming, Been with you since World of tanks somewhere in late 2011 I think. Now almost only playing on World of Warships. 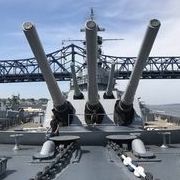 I would like to make a personal request of your ship designing, balancing, and premium team(s): I have been a Battleship player ever since I first unlocked the Kawachi back in CBT, however my most treasured battleship has been the WarSpite for as long as I remember. Sure I don't really play the old girl as much as I did back then (mostly because of T6 MM but also because I am more playing Yamato/Musashi and other high tier vessels). Now, HMS Prince of Wales is wide open for premium material, and should you ever make her a possible premium in-game, this is where my request kicks-in ! >> Make me another WarSpite please, a T8 variant ! << No ultra-dupah heal like some UK BBs, no Anti-air gimmicks(Hood), no speed boosts, no special consumables (Hydro, radar, reload booster, etc). Absolutely nothing. WarSpite relies on her guns, on her agility, on her brawling(tho it was power-crept since CBT - still manage a DD kill with them every now and then). Not to mention player skill/positioning. Just a basic, sturdy ship with good guns characteristics, good secondaries and agility (well as much as the Prince of Wales lend itself to it, size-wise). Of course the Grand Old Lady isn't as sturdy and good as she was in CBT, but a Prince of Wales might just be able to pull it off at tier 8. That's it. if you really want to do something special with her, just give her tons of resistance against fires and good secondaries. Thanks for listening, and thanks for the Massachusetts btw, haven't had this much fun since Mikasa/WarSpite of CBT. -- François. I started playing WOWS again after a while and I was surprised to see a USS KIDD in my port along with a personal assignment to get a texas. I only need to earn 25k base xp for the texas but I got a kidd for free. Does Wargaming have a returning player gift program?